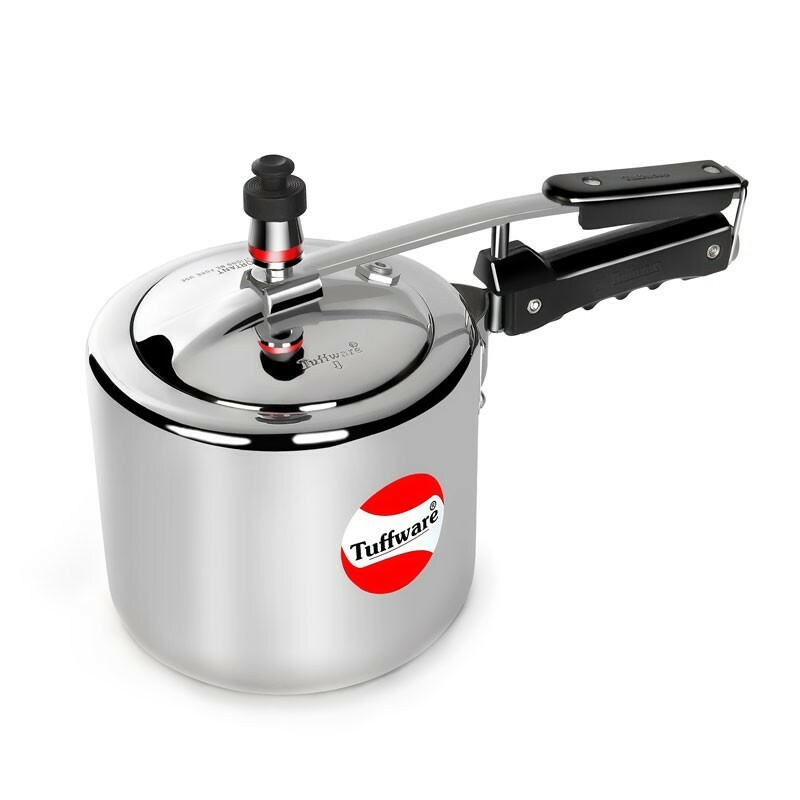 TUFFWARE Aluminum Pressure Cooker is a new age Cooker which enables you to cook delicious dishes in a smart way at the highest level of safety through its Pressure Indicator which rises above the lid under pressure and drops when the pressure inside tails to zero, giving a visible indication to safely open the cooker. 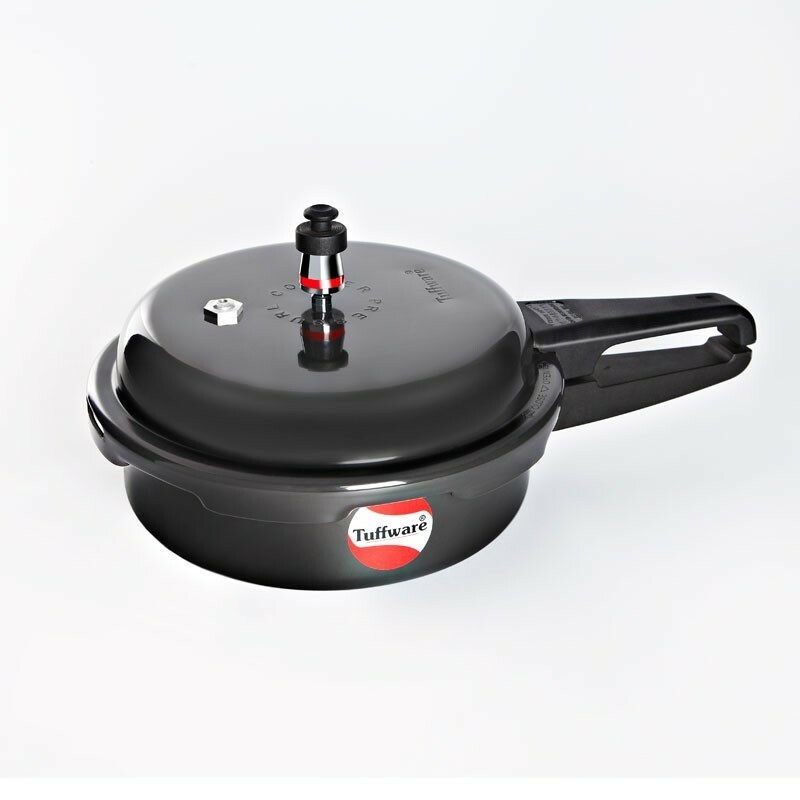 Tuffware Induction Pressure Pan is ideally designed to provide 100 percent cooking satisfaction for Deep Steam cooking & for making popular dishes like Biryani & Pulav etc…. 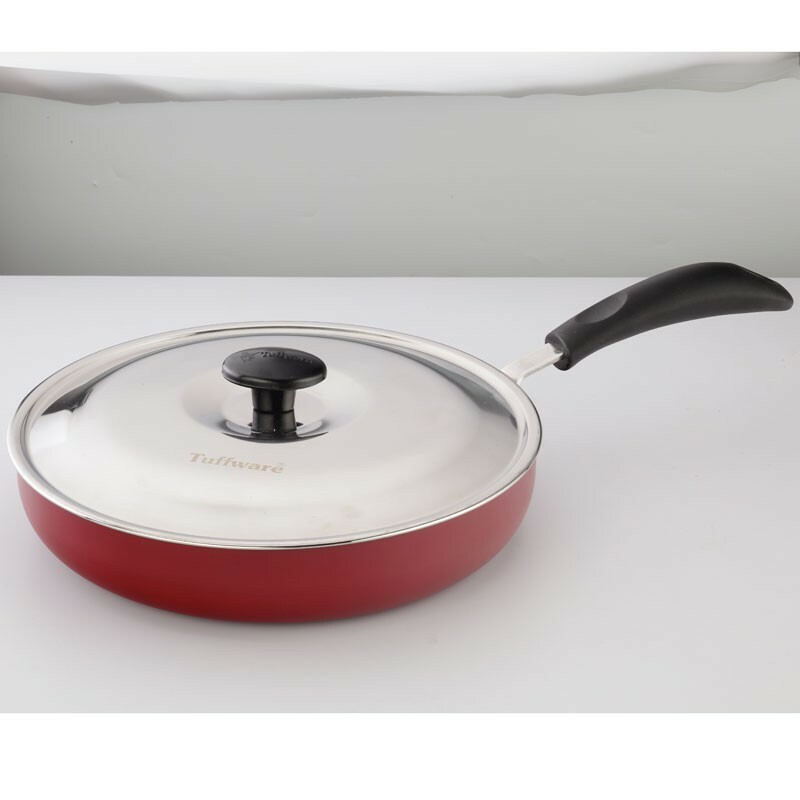 Made of hi-quality polished Virgin Aluminum for longer life and sleek looks. Extra strong lugs for safety. Ergonomically designed stay cool handles. Unique Pressure Indicator rises to let you know that cooker is under pressure. 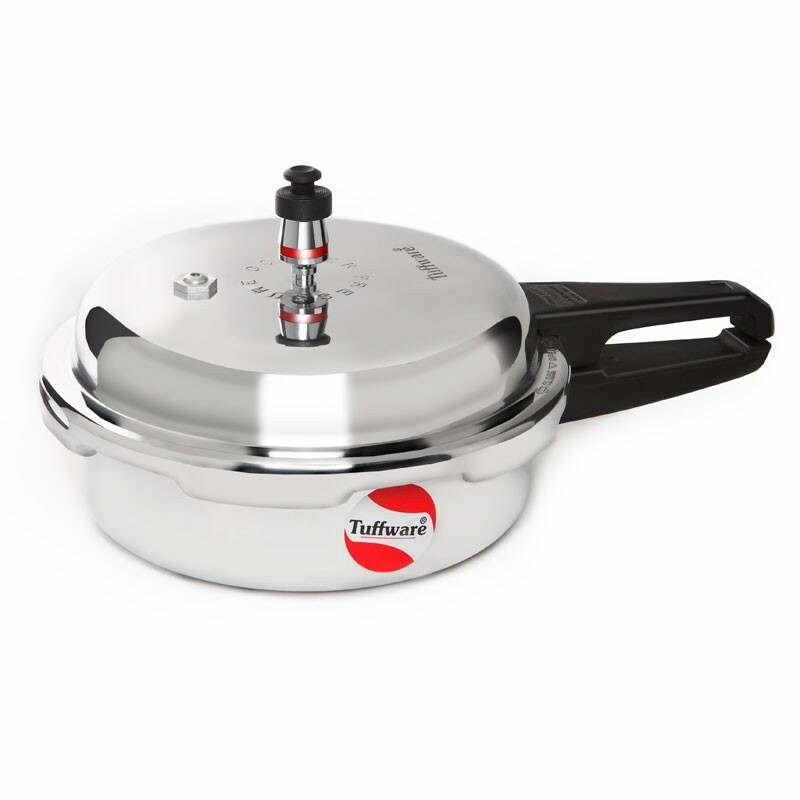 Accessory: Use manual, Lid, Pressure regulator.